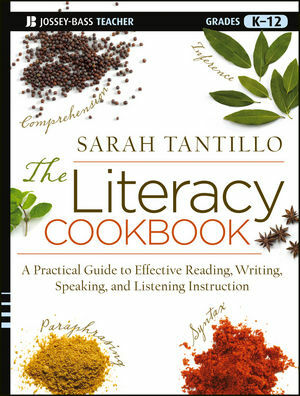 The Literacy Cookbook is filled with classroom-tested techniques for teaching reading comprehension to even the most hard-to-reach students. The book offers a review of approaches that are targeted for teaching reading, writing, speaking and listening skills. The book also includes information on how to connect reading, writing, and test prep. Contains accessible and easy-to-adopt recipes for strengthening comprehension, reading, writing, and oral fluency. Terrific resources are ready for download on the companion website. The website includes an ELA Common Core Tracking Sheet, a handy resource when writing or evaluating curriculum.